Don't you just love these plaid looks? 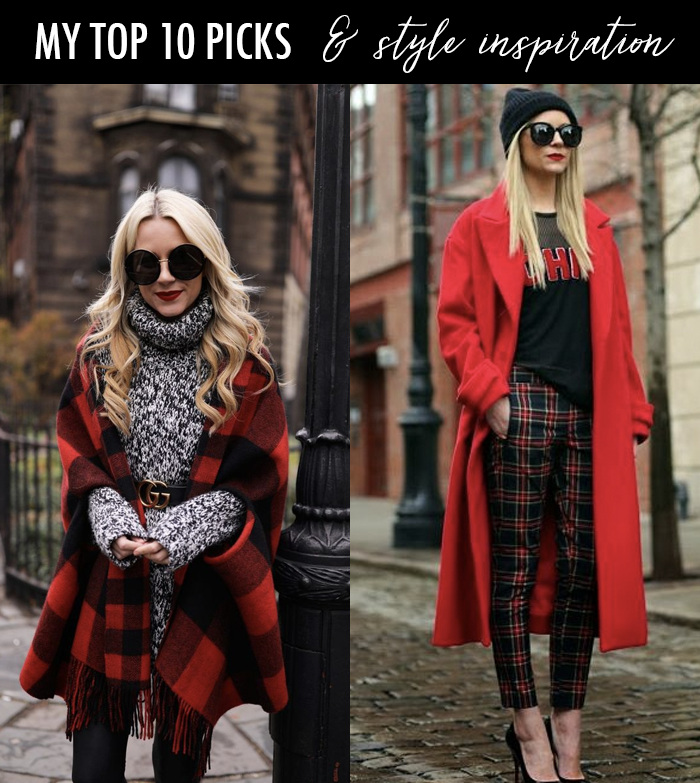 Blair Eadie's look with the chunky sweater and the plaid cape that is belted is so classic, and fun! This leopard faux fur jacket that is under $40 (with free shipping). This cozy cable knit sweater that is 40% off. This dressy faux fur jacket that would be perfect for winter. This popular dress in new colors. This necklace set that is 40% off. This fair isle sweater that makes me want to go skiing - and is 40% off. This cozy coat that is a mix between sherpa and faux fur - and is only $60. This off the shoulder sweater that is under $30. This floral dress is on sale for as low as $13 - with additional money off. This fun sweater with a twist in the back - and it comes in six colors. Today, I am hosting the Friday Favorites Link Up. So, if you like cool interior design and want to be more productive in 2018 - stop by. Love this inspo, and all your chosen pieces! I love everything you pick out, such great deals. Off to look at sweaters now. I love pops of red during the holidays! Love both these looks!